One of the newest buildings in the Marshall, Minnesota industrial park belongs to Victory Engines, owned by Marshall native Matt Steen. 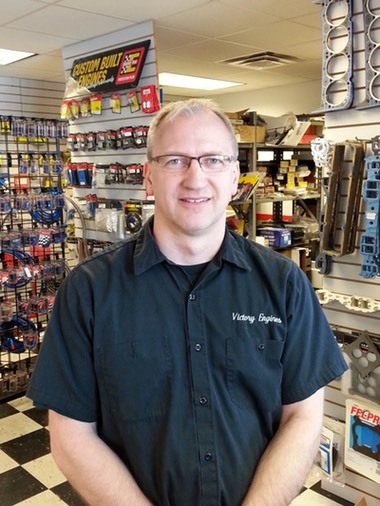 Visit Victory Engines and you'll find a spacious, modern facility that includes every piece of machining equipment you'd expect to use in creating today's high tech, high performance engines. 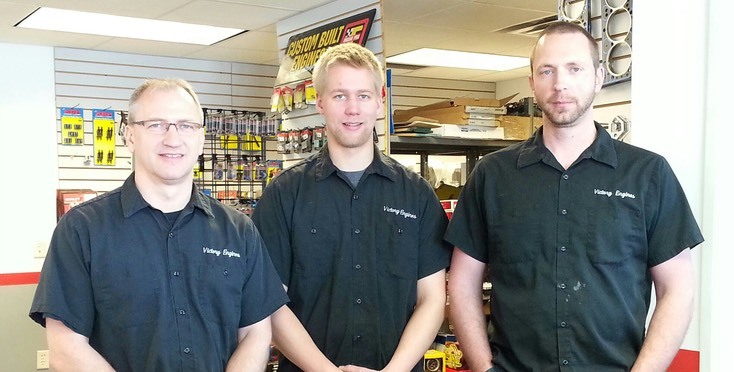 After cutting his teeth in one of the busiest race engine shops in the Twin Cities market, Steen decided to fulfill his dream of business ownership. He moved "home" to the western Minnesota community called Marshall and has built a solid reputation in the region's racing and high performance industry. Every engine that leaves the Victory Engines shop is a custom piece machined and assembled specifically for the application you need - there's no assembly line, cookie-cutter production at Victory Engines. Every engine is designed, machined and assembled to exacting specs to meet your needs. We're ready to go to work for you and we want your business!! Victory Engines specializes in complete, custom built, high performance automotive engines for the street, strip and oval track. Every engine produced by Victory Engines contains components from the finest manufacturers and is machined with precise attention to detail by experienced technicians. Owner Matt Steen oversees every production aspect and handles much of the machining and assembly himself. Need a shop and staff you can trust and a top quality engine? Make Victory Engines your next call!